Air Spray is proud to have been protecting our forests and communities from wildfires for over 60 years. Our service excellence in our industry is why we are continually relied upon to ensure our forests and communities are protected from wildfires for generations to come. 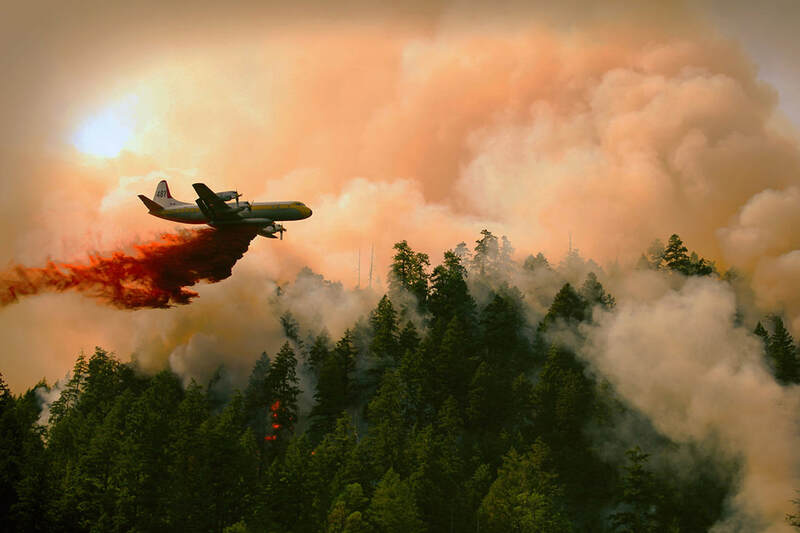 Air Spray contracts with government fire protection agencies to provide critical air tanker and air attack aircraft to aid in the control of wildfires affecting communities and surrounding forests. Our aircraft are on call throughout each fire season to quickly respond when fires break out. Through our efforts, small fires are contained before they get out of control saving millions of trees and ensuring that fires do not reach communities and the people living there. While our aircraft are often seen in the air battling wildfires, there is a large amount of our operation that takes place behind the scenes. During the off season our aircraft are at one of our maintenance facilities in either Alberta, Canada or California, USA for inspection and overhaul to ensure the safety of both our pilots and people on the ground. Air Spray also works throughout the year to continually upgrade its equipment to improve fire control operations. This includes development of new types of Airtankers and fire retardant tank systems that better meet our customers needs. Air Spray has a variety of aircraft available for aerial wildfire suppression. Click below to see our current list.